It's an effective way to make intruders think twice before attempting to approach your home or business. Our signs are durable and compliant and with an extra protective film over our signs, you won't have to worry about the weather either. My Sign Center sign clearly states "No Trespassing This Property is Protected By Video Surveillance Beware Of Dogs"
My Sign Center signs are proudly Made in the USA. 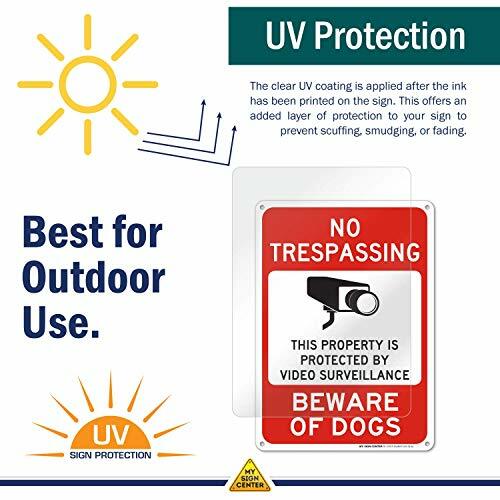 This sign has 1.0 mil clear gloss overlaminating polyester that protects against damaging UV rays, moisture & scratching. 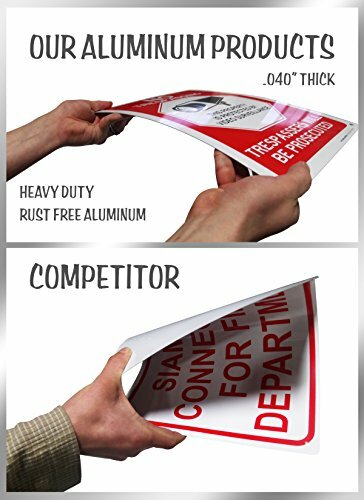 Aluminum signs have a service temperature range from 20 to 168 degrees F.
This sign measures 10 inches high and 14 inches wide. 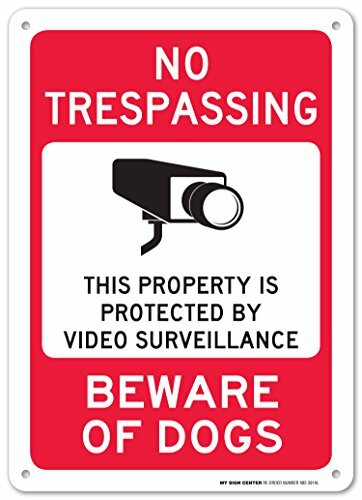 This sign is screen or digitally printed with UV fade resistance ink and is weatherproof for indoor/outdoor use. This sign comes with pre-drilled holes in the four corners and each corner is rounded for easier handling.